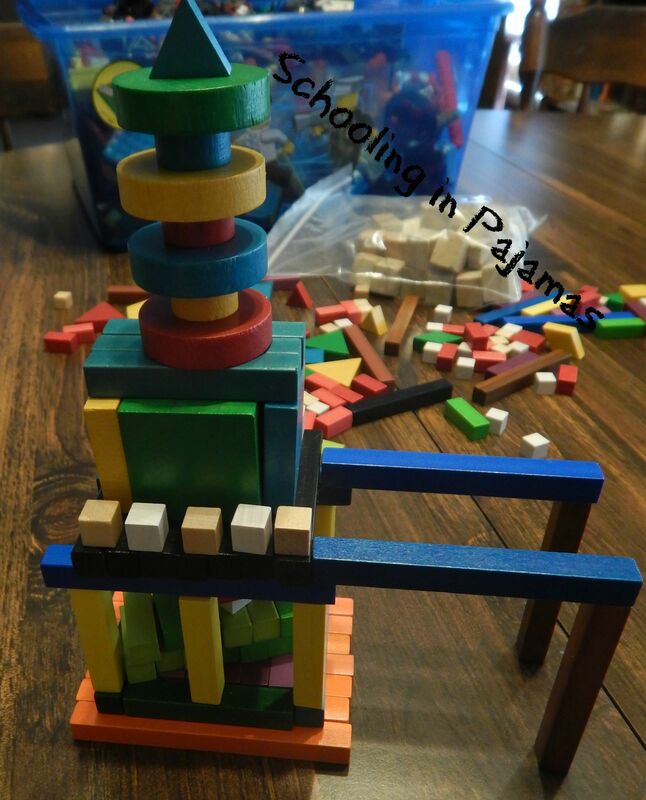 We took a little time out from our serious school work and celebrated Skyscraper Day! We had fun and learned a bit too. Skyscraper Day was September 3rd this year. We started out by watching this video. 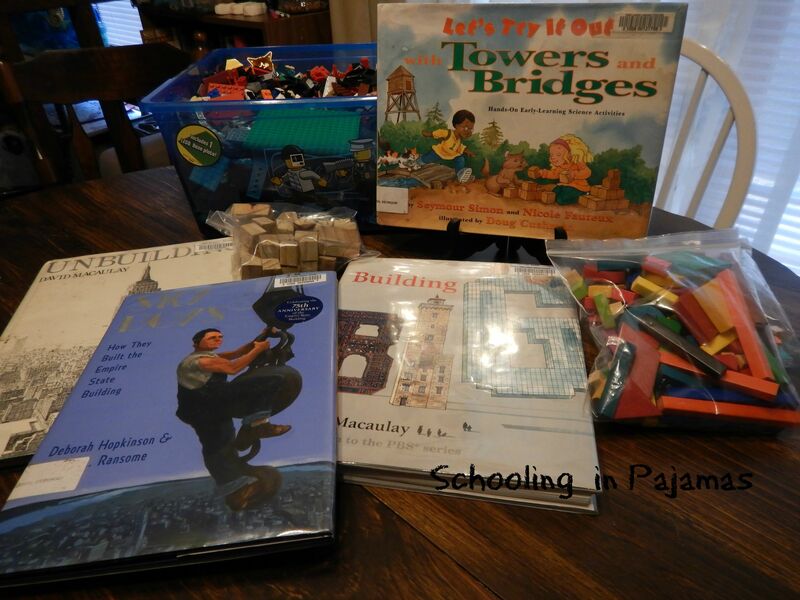 Then D went over to where I had laid out the library books and building supplies. He was excited to be a builder today. First we looked through David Macauley’s Unbuilding which reinforced what we learned in the video. 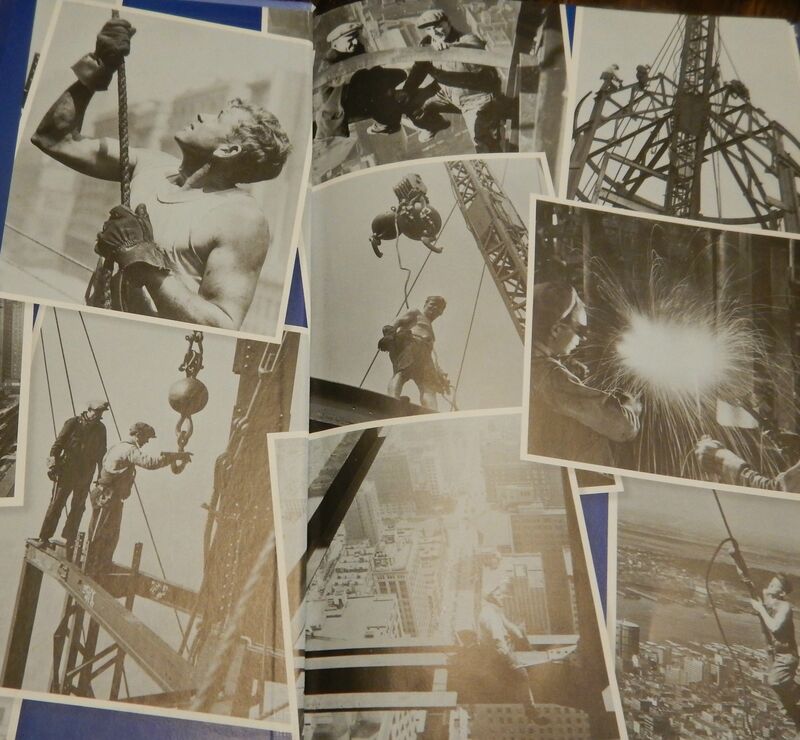 Next we read Sky Boys which was about building the Empire State Building. D really enjoyed this book and I highly recommend it. 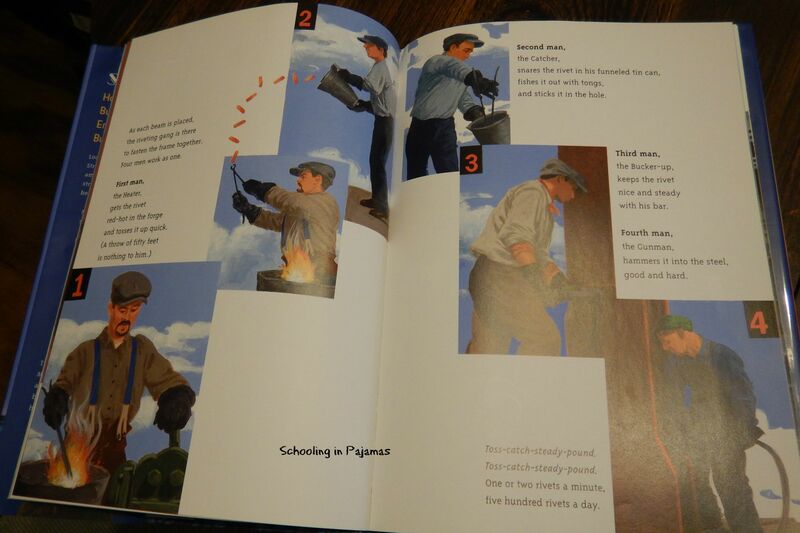 We didn’t use the other two books but they were there for D to browse if he wanted to. 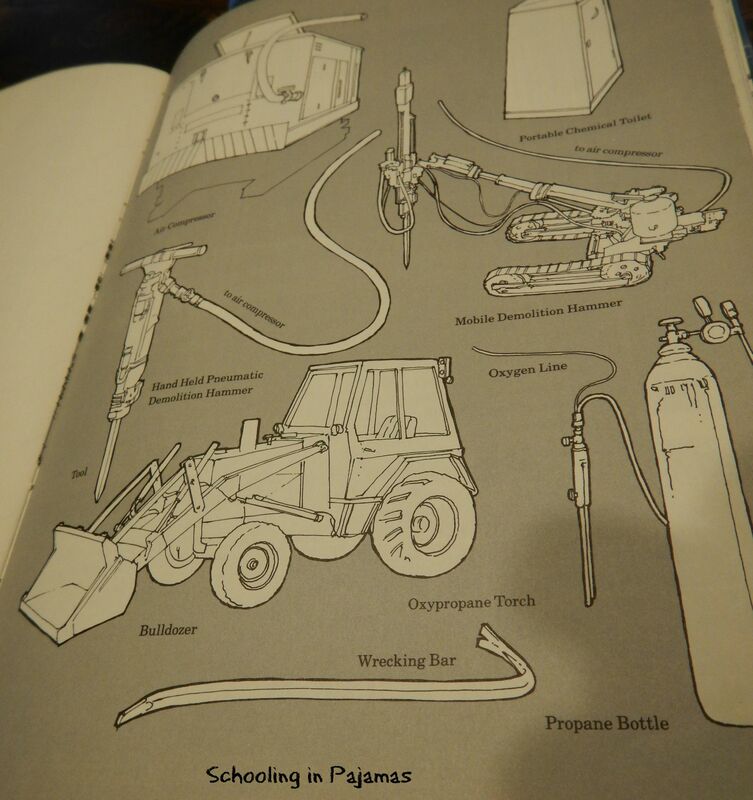 Here are a few pics from the books we used. Next we started building. First D started with the wooden blocks. His first challenge was to build a solid foundation. He blew me away not so much in his design but in his explanation. He used so much of the vocabulary and knowledge he gained from watching the video. He explained that the bottom two layers of blocks were the ones that were the foundation columns that had been dug into the earth to hold the weight of the building. The next layer of brick was the foundation layer built on top of the soil. The rest is just as it seems. The top he said shows how the wind is strong at the top of the skyscrapers and if the engineers don’t plan and build correctly, the wind would knock the tops of the buildings over. 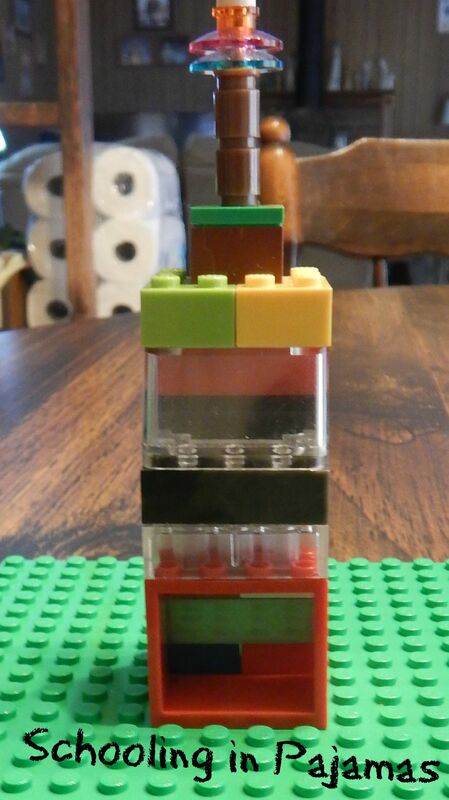 Next he designed a skyscraper using his Legos. This one he had to design both to look nice but also to keep the theme of sound building. While D was doing this, mom was busy getting her build on too. D then proceeded to knock my creation down in what he is saying was an attempt to explain unsound building practices and earthquakes. Um, I think he just wanted to see the stuff fly everywhere but I’ll give it to him. He is creative in his reasoning. Hope you enjoyed this look into what I call a “rabbit trail” of learning. It was a fun learning experience. Not too demanding but he still learning something and was able to not just put it into practice but explain it in his own words to show mastery of the information. So go build your own skyscrapers and share those pics! !